Bags play a central role in the autumn / winter collection 2007, reflecting the inspiration of Soul of Time. 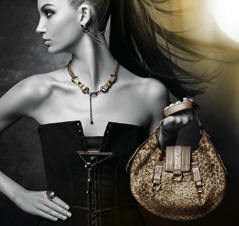 Eclectic design, desirable shapes, interesting materials and shades seem to blend together in these bags by pure chance. 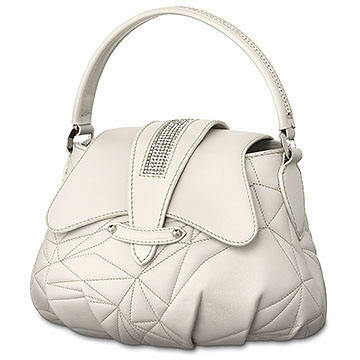 Made in exquisite materials such as lambskin or calfskin, they evoke exclusive motifs like the facets of Swarovski cut crystal. Embellished with oversized crystals and Crystal Mesh, these handbags are true gems. Metallic hues like bronze, gold and silver make the bags trendy, while the classic black and light coloured bags continue to make a strong statement. Timeless, chic, larger bags and clutch bags make beloved companions on the sidewalk as they do on the catwalk! Learn more about Swarovski from their profile on Apparel Search.